BIZTECH is a one stop shop for people seeking loans. Instead of spending hours going from bank to bank or calling all the lenders listed in the yellow pages, BIZTECH allows you to apply to multiple lenders at once or directly to your preferred lender without having to go into the branch, saving you time and money in application fee. We are the country”s top source for providing borrowers with access to the right lenders. BIZTECH itself is not a lender — instead, we help borrowers connect with lenders best suited for their needs and offer the best rates and terms, through a fast and easy online application. When you submit an online application for a loan, we match you with the best suited lender for your request of the multiple lenders within our database. BIZTECH approval rate is 99% with multiple loans being approved every day, and you can easily submit your online applications 24/7, 365 days a year. Our easy online application takes no more than 3 minutes and it can take as little as 1 hour to get approved. 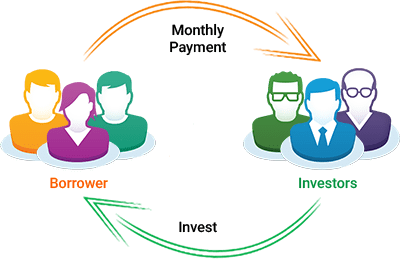 As long as you accept the terms of the loan offered to you, the money is deposited directly into your mobile money account or preferred payment method the very next business day. You are probably concerned about the safety and security of your personal information being entered online — most consumers today are. BIZTECH uses online encryption technology that is the most advanced: 256 bit Secure Socket Layer (SSL) encryption. This means that your sensitive information is safe, secure, and anonymous. The application also lets you store your information for easy second time applications and all is pin and encryption protected. The information submitted through the application form will be used solely to find the right lender for your request. It’s all done in real time, meaning in most cases you can complete the whole application from start to finish in one easy process. You could have your money in hours. The simple 3 stage process site is quick and easy to use, we reckon a child could do it, it’s that easy. At BIZTECH we make it easy to find the cash you need and guide you all the way. We hope you find this site helpful and easy to use. Biztech started in 2015 as an idea, since then we have grown into a business helping our customers on a daily basis.